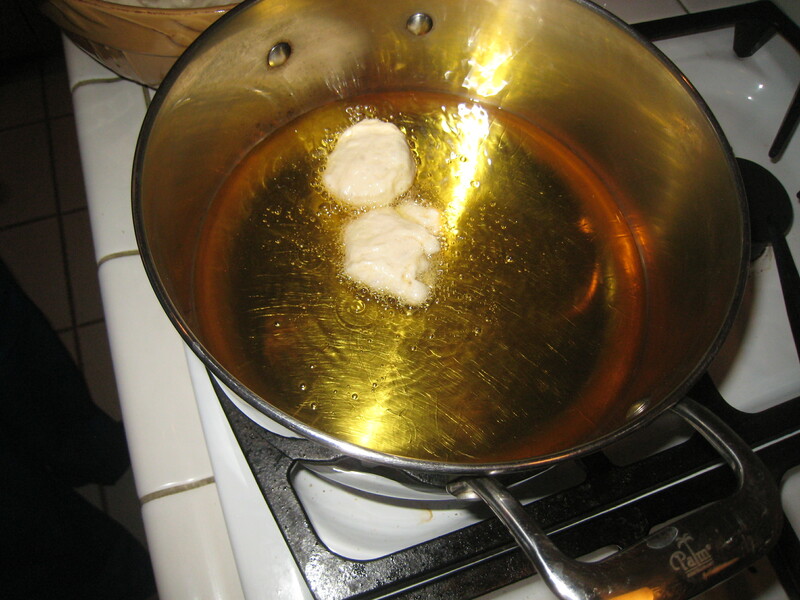 A favorite story is the Miracle of the Oil. The Jews went to reclaim and restore the Temple in Jerusalem after it had been defiled and left in ruins by the Greeks. There was only enough oil left to rekindle the candelabra that was to burn throughout the night each and every night. It would be several days before more oil be be procured and prepared. 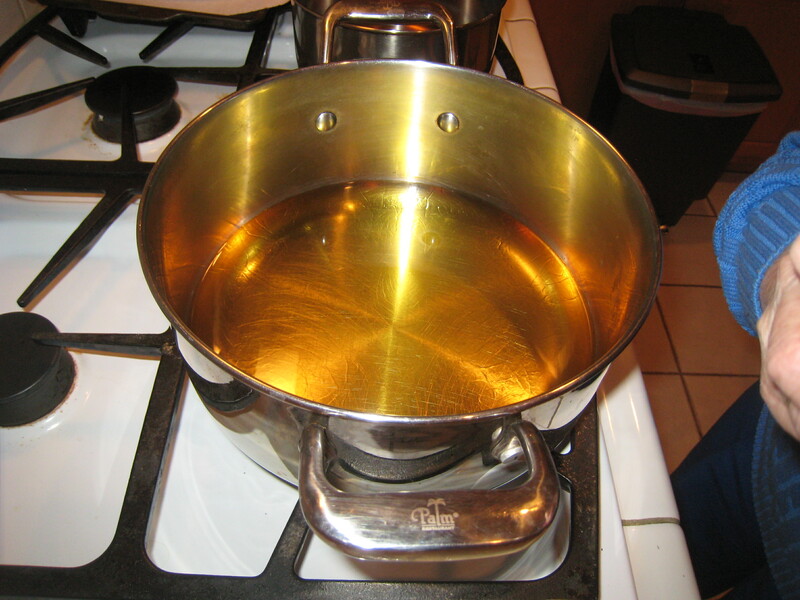 My virtue of a Miracle, the oil burned for 8 days and nights, until more oil was available. Tonight I had all my family home, under one roof…..a treat and a blessing, indeed! 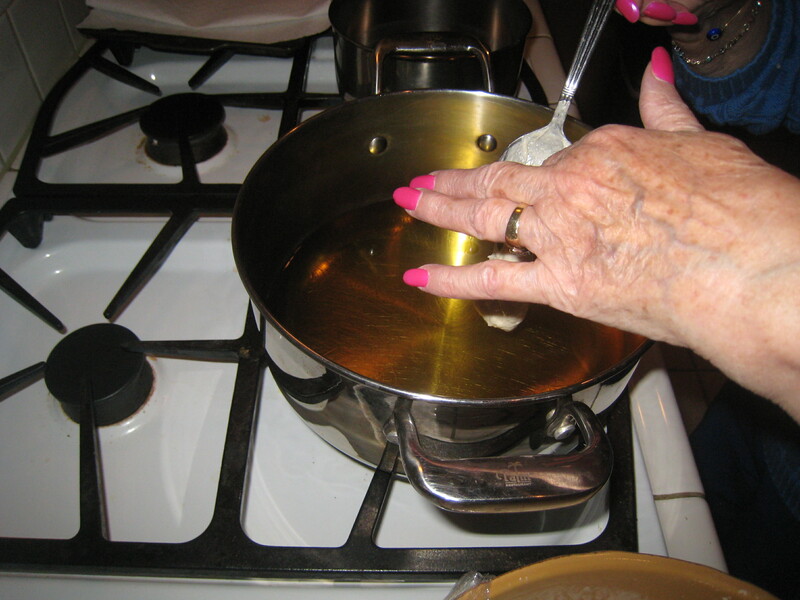 We had a home cooked meal: chicken keftes, rice, latkes ( a bow to my childrens “ashkefard’ heritage!! ), fasulia, and salad. 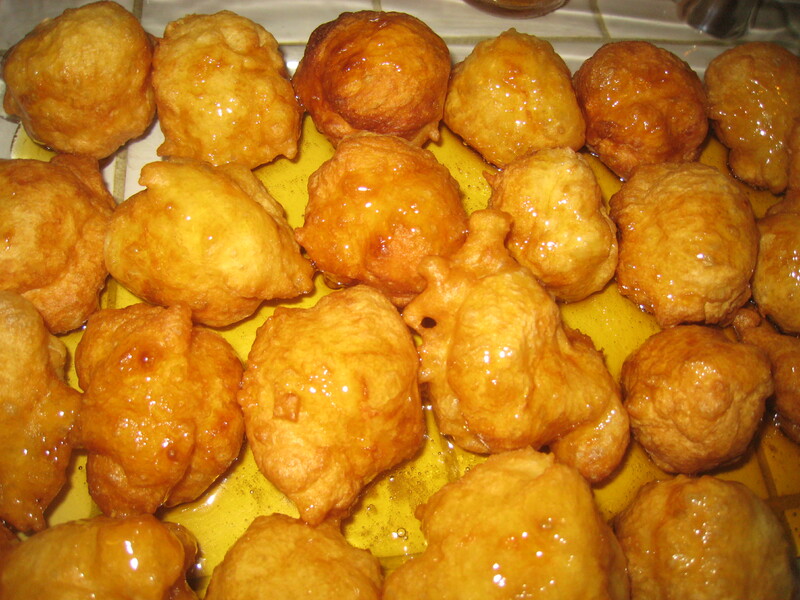 For dessert…..my mom made fresh burmuelos!!! 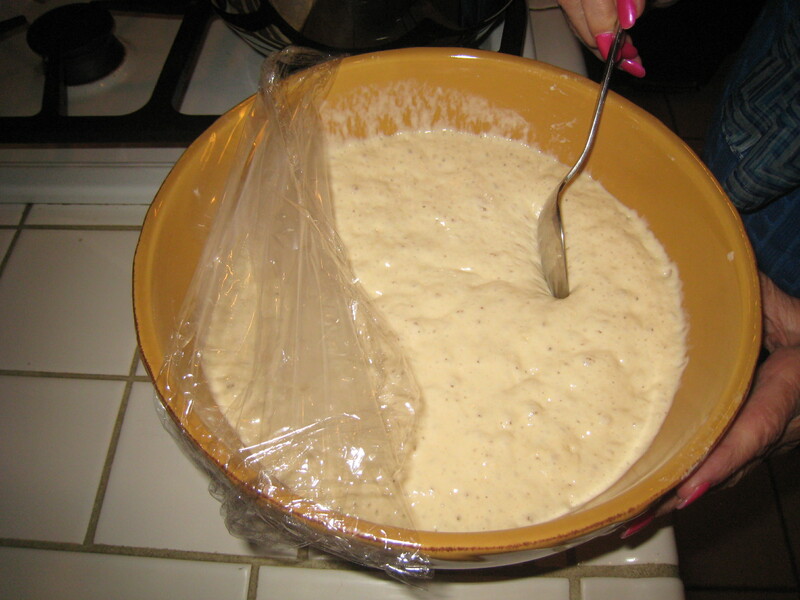 Made from a yeast dough, it takes some time for the dough to rise and be ready to fry. 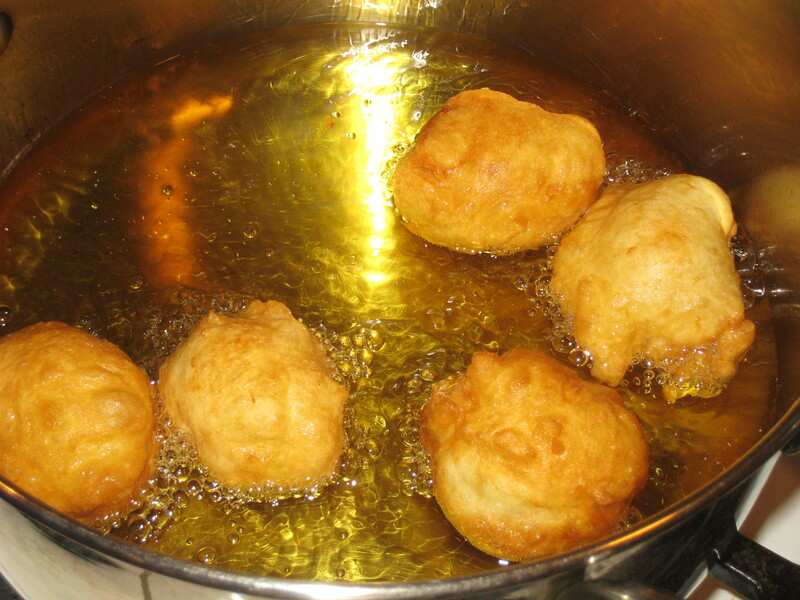 My mom made the dough ahead of time and after dinner, dropped the dough by spoonfuls into hot oil, watched them puff and turn a golden brown as she prepared the honey syrup. 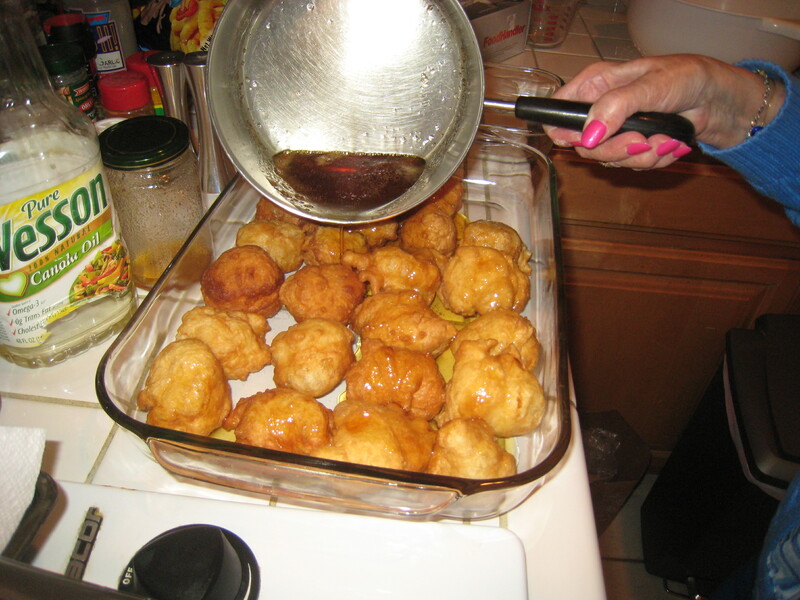 Once the burmuelos were ready, she bathed them in syrup and we ate them, warm and fresh! Divine, indeed! ,compiled by the Sisterhood of Congregation Or Ve Shalom in Atlanta, GA.